UPDATE 10 Oct. 17 – BACKGROUND: this is just one video from the list of very informative “IMPORTANT VIDEOS” shown below, with the UK Column’s Brian Gerrish interviewing Carol Woods, from March 2016. The video sees Carol explaining in detail, amongst other subjects: a] the failed “supercasino” project, which was an epic episode in irregularities in itself [also described by Carol here: York LGO Blog re Lancashire CC http://criticalreader2006.blogspot.ae/, b%5D the death of elderly Sheila Bridges, who died after a heart attack, very strongly [allegedly] caused by the actions of recruited and bullying yobs connected to the “supercasino ” project c] the death of former Greater Manchester police chief constable Mike Todd, who deceased after a judge David Williams, connected to the then Social Service’s Upper Tribunals department, was given a file of Carol’s evidence, d] certain Lancs. 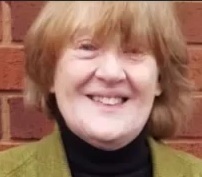 Social Services irregularities which saw Carol being hounded out of her job for refusing to alter records of vulnerable children connected to Lancs. Social Services, and e] Carol’s move to Lewes, Suffolk, under the advice of MP Norman Baker, which brought on much hostility aimed at Carol, including arrests by police, and the wrecking and theft of Carol’s home = Child Stealing By The State – A Social Worker Speaks https://www.youtube.com/watch?v=3noOtwoNo4Q – please see the other videos listed for more background on the atrocious targeting of Carol, which began in 2006 and continues daily now. After YEARS of trying to get a Section 7 Subject Access Request under the DPA 1998 Amended 2000, via Lancashire police, it still needed, even after I paid my £10 and took the 60 miles round trip to hand in my ID, the ICO involvement TWICE and now I have data they claimed did not exist. Among that I consider the wrongful arrest and false imprisonment, illegal detention of me from Nov 2015 to March 2016 with the threat of arrest as soon as I was released from The Orchard. The paperwork has all been changed. I could see when analysing the data that details were incorrect and the FACTS had been recorded wrongly with INTENT. The odd thing then was they claimed they had no names of 3 “NHS professionals” in the station who “sectioned me”. There were other deliberately incorrect details but that is what I add here for you all. In my Sec 7 SAR, AFTER the Gestapo were sent my analysis of how the custody record was totally false, they obviously decided to revise it. Now they don’t even refer to LES MARSHALL who was used as apparently the proof I was mentally ill was that I could not recall speaking to him for about 2 hours. No, I said, I did not forget, I stated I had never heard of him, seen him, spoken to him at all. The NHS confirmed Marshall had not worked for them in Nov 2015, was not in the police station and had not worked for them for years. But see how proof of my stating that was “proof” I was mentally ill.
Then more but the 3 on documents I have WERE NOT IN THE POLICE STATION THAT NIGHT AS I SAID ALL ALONG BUT NO ONE WOULD LISTEN. IT WAS EASY ENOUGH TO FIND OUT. I found out but after I was released. What about the arrests: 1) “following someone to a local airport” aside from the fact we don’t have one – deleted from the records. 2) “harassing an 83 year old woman” (how was not stated) when I don’t know any – deleted from the records. 3) “taking photos of children” – deleted from the records. 4) “following someone to Kendal” no date, no person named,- deleted from the records. 5) “Someone (unnamed) had an injunction ordering me not to write to them” so as I pointed out the lunacy in that was that a person who did not know me went to the expense of going to court to ask for an injunction against me so I would not write to her (I am sure HER was referred to) as if a judge would do that! The solicitor I went to see to help me get the custody records made enquiries about that; there was never any injunction at all as he was sure there could not be on such drivel. The latest “custody record” now has a NEW solicitor named as being on duty that night, one from Preston. AND THAT SHEET OF PAPER HAS MY SIGNATURE AS IF I HAD SEEN IT AND SIGNED. My signature is a photocopied one from the one the solicitor obtained for me. And on those custody records, there is no “south Lancaster” solicitor named at all; it is northern division. And for those who still think I make things up then they have to conceded that my documents are scotch mist. But for all of you who rang and made noises, you were right, I was right, they were wrong. Carol. PS on a cheerful note, the Gestapo records show how they raised FOR POLICE EYES ONLY incident numbers for my “serious crimes” not exposed. One was “She has written to the Crime Commissioner”. I kid you not, there it is in black and white and other such utter rubbish.